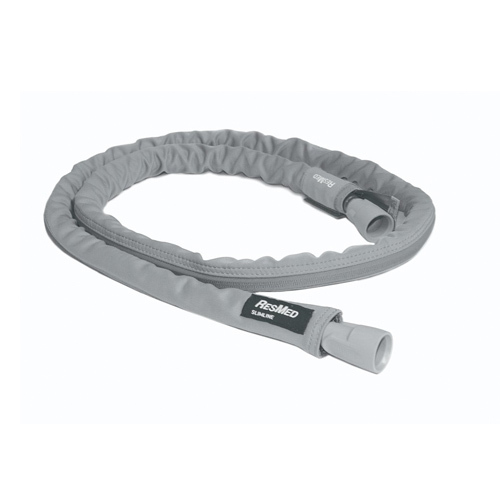 Grey 6-foot fabric hose cover for ResMed SlimLine tubing insulates the breathing tube and reduces condensation and noise. This cover slips over your existing breathing tube and has a zipper to ease installation. Love it. Well made. Like having a zipper the length of the hose. Fits perfectly. Could be softer, guess I am not crazy about the nylon fabric, but it should hold up well when washing.